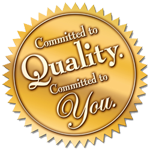 Quality is the cornerstone for everything that we do at WCJ Worldwide. Our wire is made according to the strictest production standards and we are proud to be a world leader in the supply of highest quality wire. We supply and work with some of the largest print finishers in the world. They know and appreciate that price is not necessarily the most important factor in their buying decisions. Instead, it is vital to avoid the pitfalls that arise if poor quality wire is used.